New version for easy but sure anchoring to the lead bar of F45, F65 and Caravanstore awning and to the side panels of the Privacy Room. 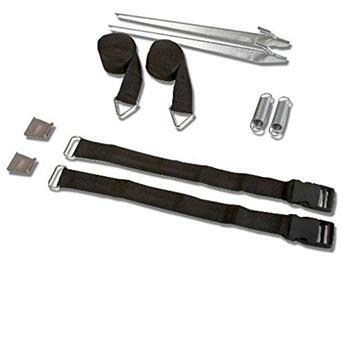 Composed of 2 black adjustable bands 300cms long, 2 stakes and 2 tension springs. 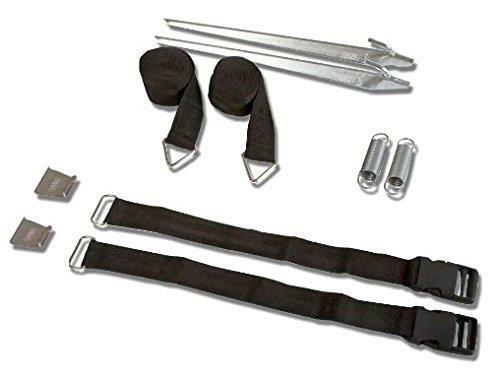 The kit consists of: 2 Adjustable bands (300cm) in black, 2 Stakes, 2 Tension Springs and 2 Frontal Hooks (for F45/F65). PLEASE NOTE CAN ONLY USE ON F65 IF YOU HAVE A PRIVACY ROOM. 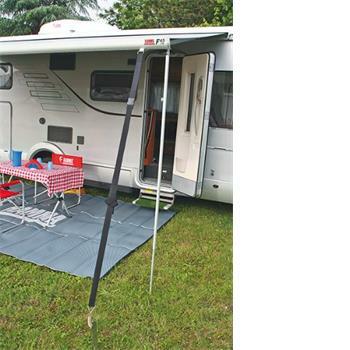 I have a new Fiamma Zip awning bought in June this year but it came with no tie down straps that attach to the top of the side walks. The male is sewn to the panels but the straps themselves plus pegs are missing. Are these available as a separate item and if so can you obtain them? 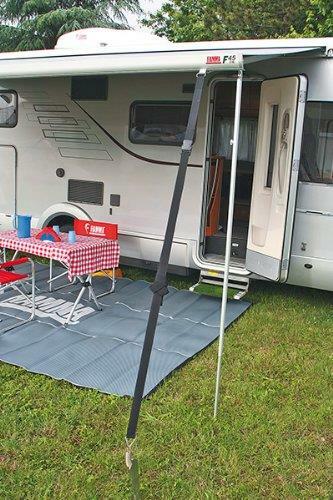 Easy to use, tightens and stabilizes the awning. Just make sure that you have a heavy hammer with you for driving the stakes in!